DIY: Spray paint a foam/plastic skull and rubber insect toys. Once dry, glue the insects onto the skull. LOVE. DIY: Three iron-on patch letters on a striped shirt. Easy peasy. DIY: More patches. Lots of ’em. 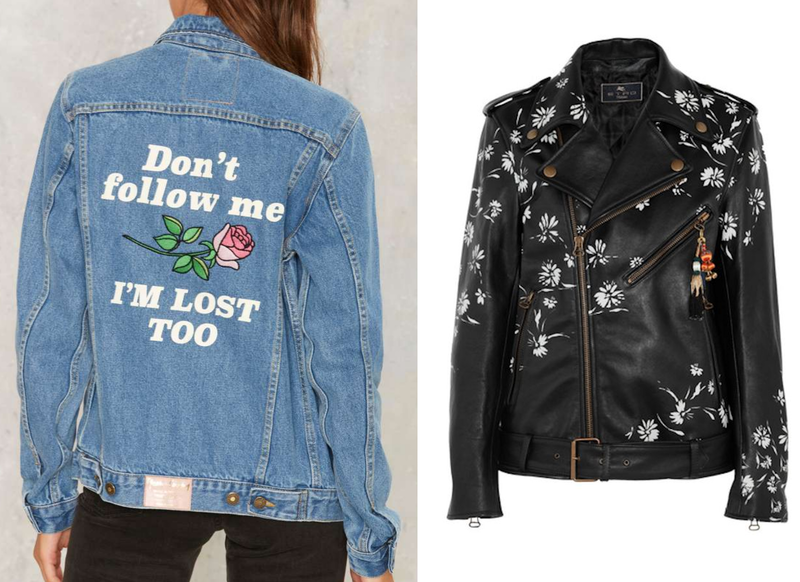 DIY: Faux leather or leather jacket + white acrylic paint + stencils + a movie on Netflix. Add some tassel charms to the zippers for good measure. I REALLY want to replicate this one! Want more crafty ideas? Check out past DIY Inspiration posts for more tips and tricks.